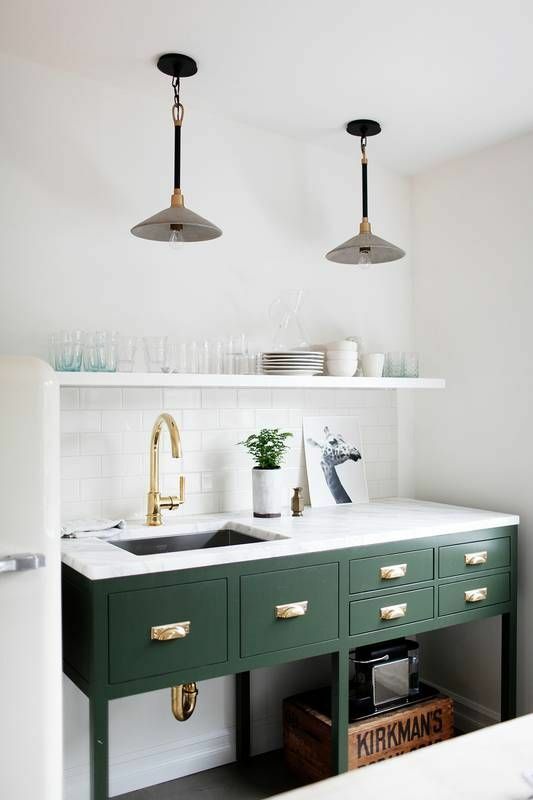 I have a serious crush on hunter green and have been scheming up ways to add this beautiful color into our home. 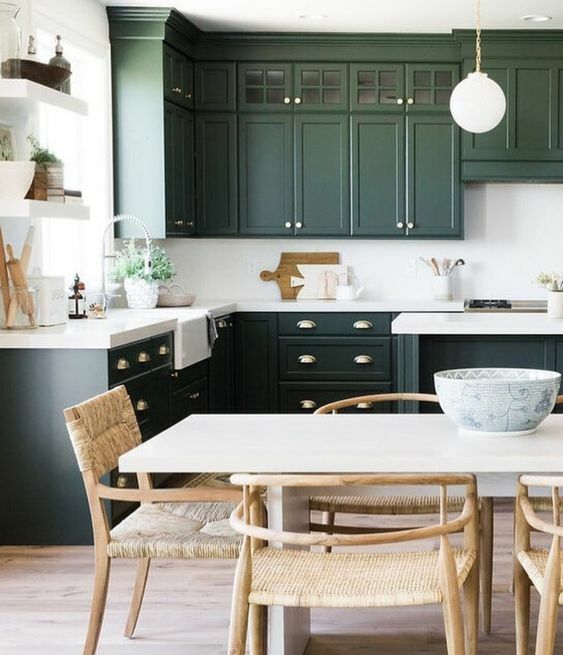 Sherwin-Williams Iron Ore will forever be my one true color love, but the deep rich tones of dark hunter green are giving Iron Ore some serious competition. It should be of no surprise, both colors add dark contrast that I love. 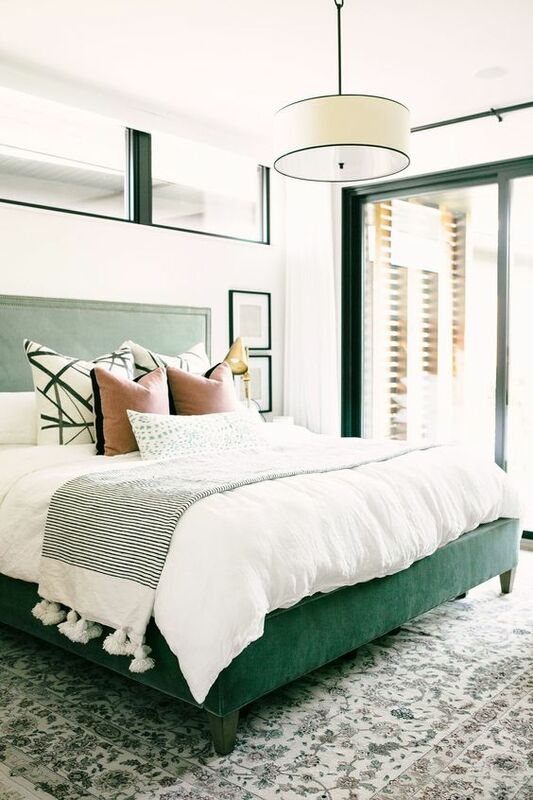 I've been pinning gorgeous green spaces, beautiful decor and rich paint colors, just itching to bring this color into our home. I'm not sure where it will go yet, but I did convince my 7 year old son to let me repaint his bedroom dresser. It's currently Sherwin-Williams Jalapeño, but I think Sherwin-William Foxhall Green will be a nice change. His room has been the same since he was born, which means this little change is about to ignite a room makeover. 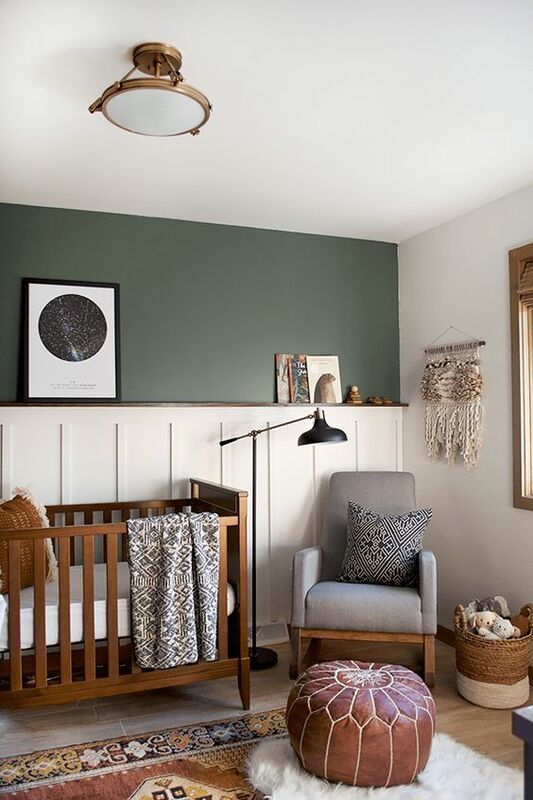 I'm still working on the mood board for my son's room, but I wanted to share my favorite inspiration, paint and decor that helped spark his makeover. Aren't they all so gorgeous? 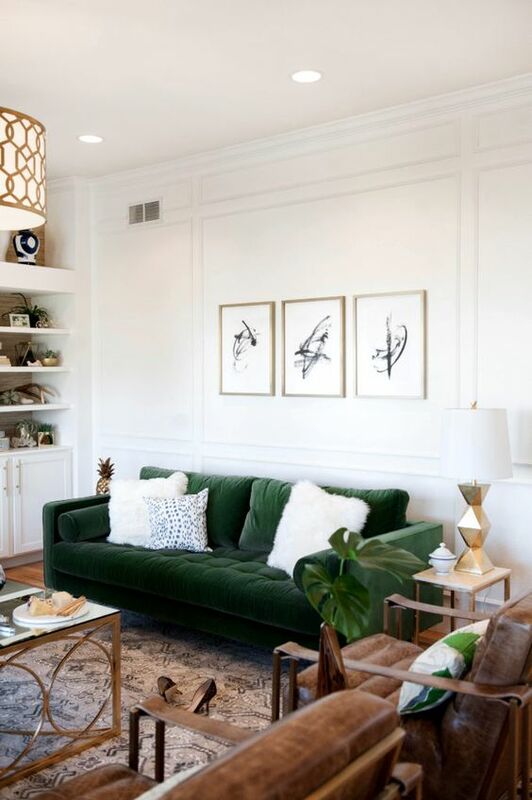 If you're going to add dark green in your decor I think it's best to do it in small doses. It would be perfect for an accent wall or piece of furniture, such as a side table or dresser. Are you not sure you're ready to take the plunge and paint a wall? 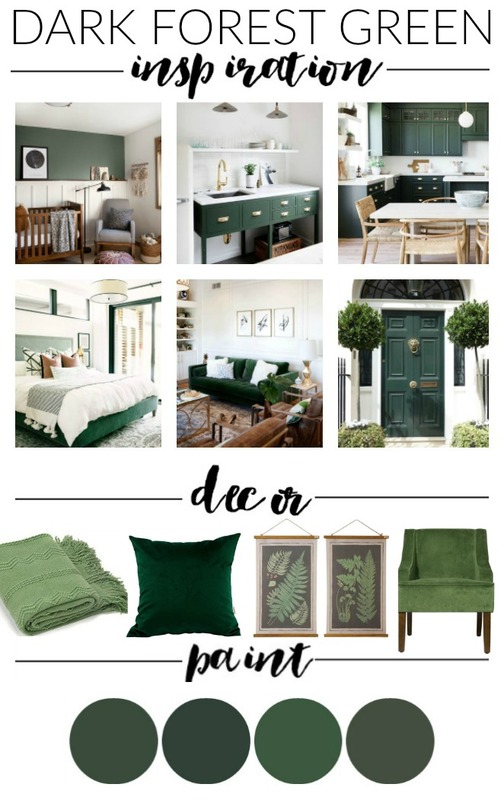 Try adding a pop of green with one of these beautiful options instead! 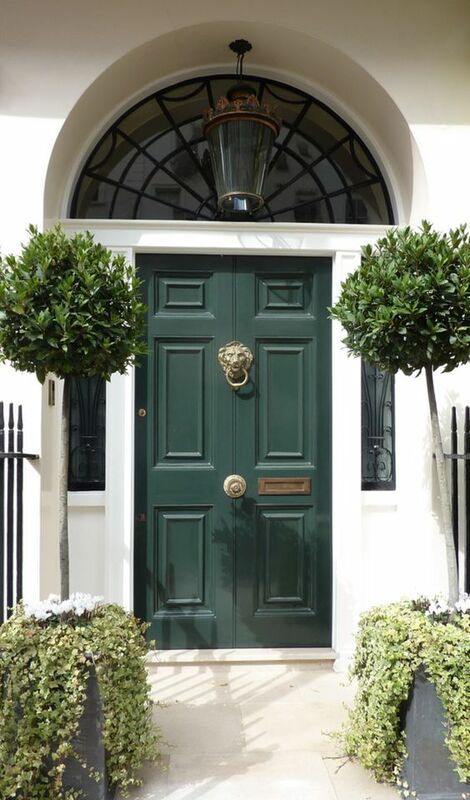 No matter how brave you get, you can't go wrong adding a touch of dark green into your home. Be still my heart! This is my color palette to a T! Love love love it all!